Zhejiang Province, China's private business hub, has pledged tens of billions of dollars to drive tech and innovation in the next five years, local authorities said Monday. The province rolled out a total of 50 measures at a press conference to boost up high-tech and internet companies as well as medical research and development. In the next five years, the provincial, municipal and county-level governments in Zhejiang will spend a total of 120 billion yuan (around 17.3 billion U.S. dollars) on achieving the goal, according to Gao Yingzhong, head of the provincial Science and Technology Department. 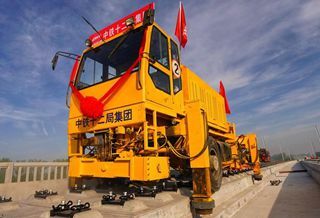 "We will also guide social capital and financial institutions to invest around 290 billion yuan," said Gao, "The total investment on research and development (R&D) is expected to reach around 900 billion yuan." The measures also include increasing the ratio of R&D expenditures in provincial GDP, cultivating leading innovators, and increasing patent numbers. Zhejiang is home to many of China's most successful private businesses, which made up nearly two-thirds of the provincial economy in 2017, according to local statistics. In the first three quarters, Beijing's R&D expenditures increased by 17.6 percent, while R&D costs of Zhejiang's industrial firms above designated size increased by 23.6 percent from January to August.